In the years well before the whizz-bang super-duper transfer days that followed the arrival of Roman Abramovich to Stamford Bridge, the West London club was one of fairly modest ambition – staying in English football’s top flight was probably the main one. It was also one that was sometimes missed and an occasional cup run was the closest thing to glory. Such times did not require the services of celebrated foreign coaches who could weld an oft unruly bunch of superstars and supposed-stars into a team capable of bringing silverware to the club. In the 1980s, with the club languishing in Division Two again, the requirement was for a manager who knew the domestic game, could spot talent available at a reasonable price and knew how to develop and deliver a successful team. 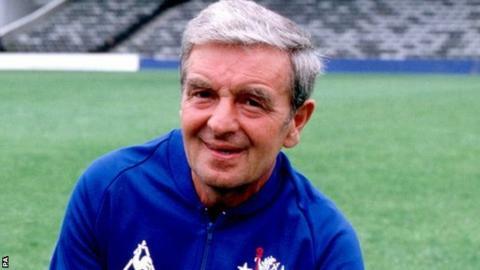 John Neal was such a manager, and Chelsea Football Club were most fortunate that he decided to take the reins at Stamford Bridge in 1981. In his four years at the club, before ill health forced a premature retirement, he achieved promotion, provided stability and progressed the squad with astute acquisitions. Whilst many would quote the names of Mourinho, Ancelotti and Conte as some of the greatest names to have managed the club, those with longer memories than the last couple of decades may well wish to insert another name. John Neal’s profile was much less celebrated than any of the trio mentioned – who were all eventually pointed to the Exit Door, by the way – but he did as much as any of them towards the ultimate success of the club, and his name and record should be lauded for that. As with so many successful managers – and indeed players – of that era, John Neal was born in the north-east of England, a child of Seaham, County Durham. Very much of the spirit of the area, he turned professional as a no-nonsense full-back who knew the value of a robust challenge, but also had the pace and intelligence to promote play on his flank of the pitch. His introduction to the pro ranks came at Hull City after they acquired him from his local Silksworth Colliery team as a teenager just as the country was seeking to revive itself from the traumas of the Second World War. It may well have been the experience of growing up during the privations and struggles of the war-time years that crafted Neal’s resolution but, whatever it was, his attitude to reverses and a refusal to bend the knee to circumstance would serve him well over the coming years. Five years with the amber and black tigers prowling the Humber were hardly brim full of success and progress. By the mid-fifties, Neal had moved on, joining Kings Lynn. Although that kind of step down in status can define many a nascent career, as mentioned, John Neal was made of sterner stuff. It may have been that the Norfolk air suited him, or that Hull City had merely been the wrong club at the wrong time for the teenage defender, but after a single season with Kings Lynn, Neal made the jump back into the Football League, joining Swindon Town in July 1957. If things had been wrong for Neal at Hull, Swindon fitted him like a glove and his leadership qualities, as well as the sterling defensive performances quickly saw him promoted to captain of the team and being feted as one of the best defenders in the lower divisions. As is often the case in such circumstances, a bigger club will come calling for outstanding players and after Aston Villa were relegated from the Division One, two seasons later, and needed to rebuild their team, manager Joe Mercer took Neal to Villa Park as part of his plans. The following few years would see the zenith of Neal’s playing career. Villa were crowned Second Division Champions in 1960, and then went on to lift the inaugural League Cup in the following season. The stars of the Villa team of the time may have been the big-name forwards, but the unassuming and quietly efficient work of Neal contributed as much to the team’s cause as his more famous team-mates. Such relative success had come late in Neal’s career however, and towards the end of 1962, Villa decided that it was time to replace the full-back, who was now into his thirties. A move to Southend United, could have been the first step in a winddown towards ending his time in the game. Conversely, however, for John Neal, it would be the springboard that would propel him into the next stage of his career. Neal stayed with Southend until 1966, latterly also working under manager Alvan Williams in a coaching role. The astute Welsh manager had quickly identified Neal’s potential as a leader beyond the playing surface and invited him into the coaching ranks at the club. The following year, Williams decamped to take over at Wrexham, and took Neal with him as trainer. At the end of the season, Williams, then 65 years old, retired, and Neal was invited to step into his shoes. The club would reap huge dividends from the decision. Neal led Wrexham to promotion and, with a strong emphasis on developing young talent at the club, saw the likes of Mickey Thomas and Joey Jones come through the ranks and go on to success with Manchester United and Liverpool respectively. Others followed into the Wrexham first team and the club continued to prosper. A run to the last eight of the 1975 FA Cup boosted the club’s coffers as well as raising its profile. Undreamt of forays into European competition followed success in the Welsh Cup, and in 1976, they reached the quarter-finals of the Cup Winners Cup before losing out to Anderlecht by a single goal – the Belgian club would go on to lift the trophy. The following year brought the height of Neal’s fame as a manager in north Wales. Victories over Spurs in the League Cup and Sunderland in the FA Cup propelled the club along and promotion to the Division Two was a realistic proposition until the last few days of the season when Wrexham narrowly missed out. Very much as when Aston Villa prised Neal away from Swindon as a player, success in management is also difficult to disguise, and at the end of the season, Neal was approached by Middlesbrough to replace Jack Charlton. The problem with achieving the sort of success that Neal had garnered at Wrexham though, is that other clubs think the recipe is easily repeatable. As Neal arrived, players left Ayresome Park for big money and the key elements of Jack Charlton’s team were dismantled and sold off to the highest bidder. Graeme Souness went to Liverpool and David Mills moved to West Bromwich Albion for a record transfer fee between two English clubs. It was hardly the sort of approach that would adhere the new man to Boro’s fans, but Neal would again deliver on his policy of developing the talent at the club. A committed adherence to attacking football soon began to woo back disgruntled followers and the club were comfortable in the top tier of the league right up until Neal left in 1981. Unsurprisingly perhaps, it was another proposed sale of one of his players that led to the manager moving on. Aussie, Craig Johnston was an iconic member of Neal’s vibrant young team, but the club decided to cash in, and sold him to Liverpool. If they thought that Neal would shrug his shoulders and perform another little miracle, they were wrong. It would be a step too far. Neal would move on. Middlesbrough were fourteenth at the end of the season. The following term, with the native-son of the north-east, Neal, now in charge at Chelsea, Boro finished at the foot of the table and were relegated. One imagines that the money received for Johnston, which ultimately cost the club its manager, was but small recompense. By almost any measure, it had been a disastrous move, and one they perhaps would have time and cause to regret. At the time, moving into the hot seat at Stamford Bridge was hardly the money-laden dream job of much later times. As Boro had finished around midway of the First Division, Chelsea had toiled to achieve a similar position in the division below. The club was also struggling financially. Outspoken Ken Bates had acquired the club for the princely sum of £1 and an agreement to take on the club’s debt. It was a burden the irascible chairman was keen to be shot of. Perhaps in pursuit of quick fixes – when wasn’t that the case at Stamford Bridge? – the club had in recent times, trusted in fame rather than experience to find the ideal manager. Geoff Hurst, World Cup hat-trick hero, had just been appointed and then shown the door, and before him time under the guidance of the maverick Danny Blanchflower had been mixed with the more sedate reigns of Ken Shellito and former terrace favourite Eddie McCreadie, who had gained promotion for the club and then allegedly left in a huff after they failed to provide him with a club car. This was the club that Neal moved into. Chelsea were in dire need of a steady hand on the tiller. They needed someone who would come in and deliver professional performances on the pitch and sage financial management off it. They also needed a manager who could spot talent and develop potential that others had missed. Cometh the hour, cometh the man. Enter John Neal. Conversely, or perhaps entirely predictably to any Chelsea fans of that era, Neal’s first season at the helm was a borderline disaster. A paltry 11 wins across the league fixtures meant a breathless finish to the season with the trapdoor to the Division Three often no more than a hairsbreadth away for so many weeks. Eventually, the team’s ability to turn potential losses into draws, and a dogged resistance to lose games saw them escape by a mere two points. Although relief would have echoed around Stamford Bridge at the release from the dire threat of relegation to English football’s third tier, this was not what the club had hoped for when taking Neal on board, neither was it the manager’s idea of success, and across the coming term, he got to work in rectifying the squad with the top, rather than the bottom, of the table in mind. Some mangers seek to turn teams around by adding quality to the squad, others do so with a tactical innovation that offers the existing players an opportunity to better benefit the team. John Neal did both and, on a shoestring budget, he did it within strictly defined boundaries. Reshaping his existing players, he picked up a number of recruits that would later enter the Hall of Fame at the club. Unabashed when convinced of his opinion, Neal went to Bates and insisted the club sign striker Kerry Dixon from Reading. Bates was aghast at the cost of some £150,000, plus a further £25,000 if the players was ever called to the colours of the national team. Neal must have delivered the most persuasive of arguments however, and eventually convinced Bates to take the plunge. It’s unclear how many times Bates would later thank his manager for persuading him to make the purchase – knowing Bates, it was probably a few at most – but it was a deal that reaped massive dividends for Chelsea. With just a shade under 200 goals for the club, Dixon is the Chelsea’s third highest goalscorer, dropping in behind Frank Lampard and Bobby Tambling. He would also go on to form a spearhead for the Blues that was the equal of many in the top division of the game, as they were to later prove. Neal also brought Pat Nevin in from Clyde for £95,000, a fee that Chelsea would more than double when they sold the impish winger on to Everton five years later. Nigel Spackman’s midfield tenacity and influence at Bournemouth caught the eye of Neal and, at 23 years of age, £35,000 looked like a bargain. That assessment was underlined by the £400,000 the club received from Liverpool a mere four years later. Defender Joe McLaughlin was signed from Morton for £100,000. He would become a stalwart of the side and a rock-like presence in the club’s backline before Chelsea accepted £650,000 from Charlton for his services half-a-dozen years later. Goalkeeper Eddie Niedzwiecki had been a youngster at Wrexham during Neal’s time at the helm at the Racecourse Ground, and he swooped to take player to Stamford Bridge, where he would play for five years, becoming a terrace favourite for his application and daredevil displays between the sticks. For all that the financial success of Neal’s transfer dealings would endear him to Bates and charm the finance department at the club, it was success on the pitch that would define the true worth of Neal’s signings. He wouldn’t be found wanting. Just a single season after flirting with the disaster of relegation to the Third Division, Chelsea were crowned champions of English football’s second tier, and marched into Division One. In a 42-game season, they were defeated a mere four times and scored 90 goals, comfortably the highest in the league. A typical Neal team, they were full of vim and vigour, played attractive attacking football and were extremely good value for the silverware that came their way. Relegated Middlesbrough finished in seventeenth position. Chelsea have a reputation of being a club with so many ups and downs that they would make a roller-coaster seem like a Sunday morning drive in the country, but this time, under John Neal, there promised to be a time of joy and celebration in the sunlit uplands of the domestic league. Much as there are ups in the game though, especially at Stamford Bridge, there are also a number of depressing downward turns. In the summer of 1984, with the club poised to enter Division One, John Neal was taken seriously ill. At 52, he was no great age, but urgent heart surgery was required. Although few knew it at the time, it was a portent of things to come. In typically robust manner, Neal recovered and Chelsea went on to finish in a strong sixth position in the league, also reaching the semi-final of the League Cup. For a debut season in the top division, Neal’s team had shown they were a coming force and, a single season after attaining promotion, had established themselves as one of the top teams in the league. The future was bright and promising. It was a vision never to materialise however. Neal’s heart condition had been delayed, not solved, by the operation during the summer and at the end of the season, he was compelled to resign, handing over the reigns to coach and former player John Hollins. Understandably, however, the club were keen to keep his influence within Stamford Bridge, and offered him a position as director. For such a hands-on manager, whilst an entirely decent gesture, the move must have felt like some kind of sinecure, but he took it up anyway, accepting the opportunity to keep a weather eye on the burgeoning team he had built. Regardless of determination and strength of character, however, there are some battles where you are simply outgunned, and Neal’s health continued to deteriorate. In 1986, he had further surgery, meaning a retirement even from the director’s role had had been given. In typically defiant manner, John Neal shrugged aside the insistent calls of his ailing body until November 2014, when he finally conceded defeat, dying at the age of 82. The club paid handsome tribute to him and rightly lauded him as the man who had saved the club in its hour of greatest need, and then pushed on to create a team that represented the style desired by so many at Stamford Bridge. It is however, probably best left to the players he inspired to relate his qualities. Sadly, but almost poetically, there was neat symmetry about the game Chelsea played after hearing of the death of their former manager. A five-goal romp against Derby County precisely echoed the result of the club’s opening game of the 1983-84 campaign when the Blues were destined to win the Division Two title. Somewhere, up there, it would probably have brought a smile to the face of the club’s former manager. There’s a great joy in the hearts of Chelsea fans of a certain vintage who recall with fondness the times when John Neal’s team jumped into the First Division with both feet, causing an enormous splash and harrying the established powers as a young, vibrant and entertaining team laid about them with, apparently, hardly a care. Dixon and Speedie terrorised defences and Chelsea seemed set for a glorious future. Such joy however is also tinged with regret at what might have been, but never came to fruition. John Neal’s managerial career was full of success and his adherence to a policy of positive football played by squads he had developed never wavered. At Stamford Bridge, despite being a native of the north-east, he had found his spiritual home and taken the club to his heart. Had he, and the club, not been denied at least another five years with him at the helm in West London, who knows what acclaim he could have achieved. For all that sadness and melancholy though, there’s a comfort that before he left this mortal coil, he saw his club achieve a league and cup double and achieve the highest point for a club in European football by lifting the Champions League trophy. If a five-goal triumph over Derby County would have made the late manager smile, one can only imagine the grin, and lift, the victory in Munich must have given him. For all Chelsea fans around at the time, most of this story will already be known, but for the younger generation, there’s great value in knowing where the club had been and how it got to where it is today, and John Neal’s legacy to Stamford Bridge, is a major part in that tale. (This article was originally produced for ‘These Football Times’ website).